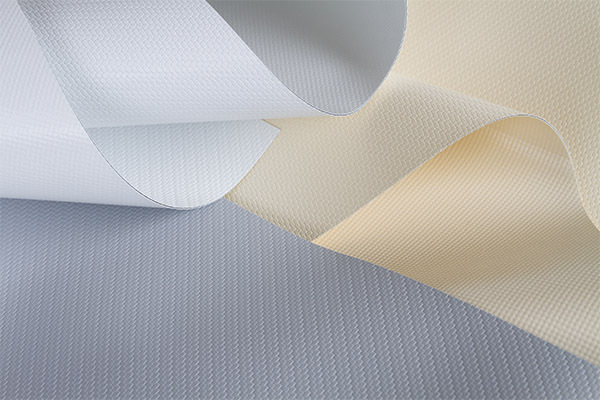 A polyester fabric coated with PVC on both sides. Fixed or dynamic, the LAC 650 SL filters some solar rays and diffuses daylight. Fully opaque, Sunblock provides a high level of resistance to the sun’s rays, excessive heat, bright light and ultraviolet rays. Ideal for overlooked spaces, this canvas guarantees greater privacy. 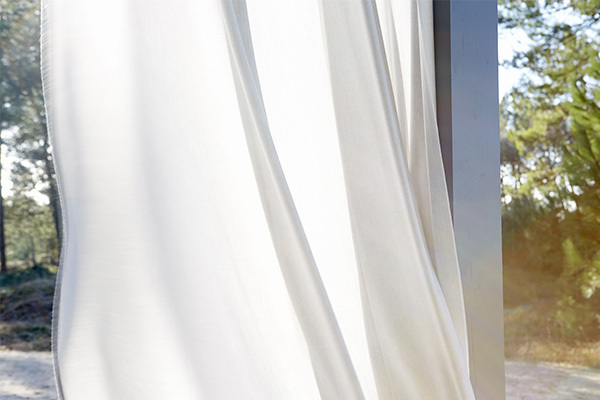 Woven on an innovative medium, Sunvision fabric is the first openwork fabric that feels and looks like a textile. Suitable for use on the sides of a pergola, it protects from sun glare. Its special weave provides effective protection from insects on summer evenings. 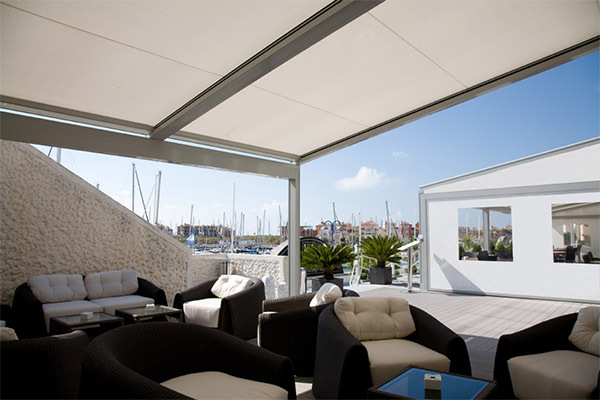 Velum or Natté fabrics available with a width of 300 cm are designed for use as shades or outdoor curtains. They are weatherproof and retain their appearance throughout the season. Machine washable, they are easy to maintain.